Autism Speaks U's marquee annual event is Light It Up Blue, when members fill the Quad with blue lights each April in support of World Autism Awareness Day. 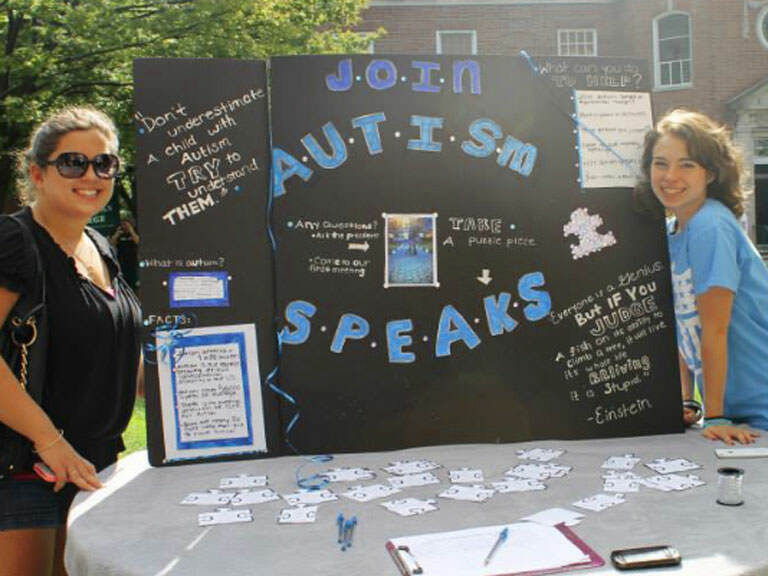 All students are welcome to join Autism Speaks U. Sign up at the biannual activities and volunteer fair which happens at the start of each fall and spring semester, or contact the club directly at autismspeaksu@manhattan.edu.